Bunbury Theatre opens GREETINGS! 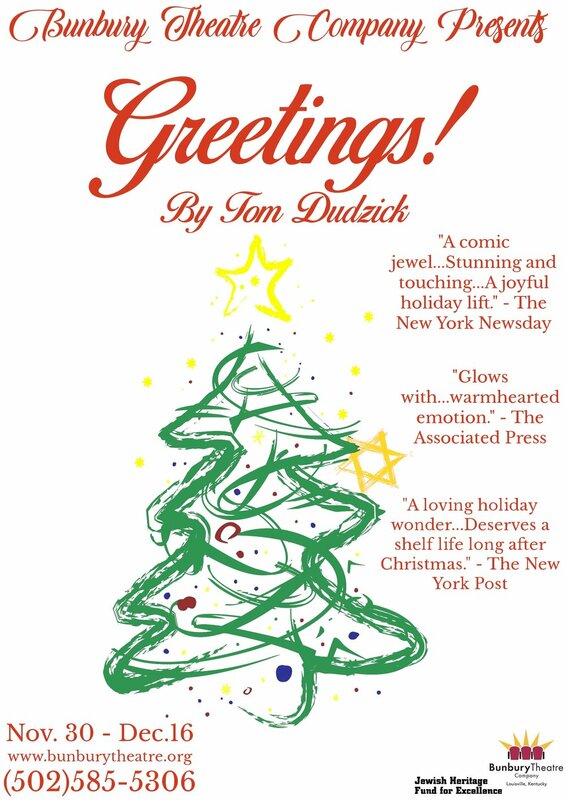 a holiday comedy by Tom Dudzick at the Henry Clay Theatre. Natalie O Design Holiday Pop-Up & Gallery Opening begins tonight and continues all weekend. Deborah Spanion West Coast Jazz is happening at John Brooks’ Quappi Projects. Jecorey Arthur’s Louisville Hip Hopera is tonight ONLY! Kathleen Loomis Day by Day by Day: adventures in regular art at Pyro Gallery.